When we were kids, my sister spent all afternoon baking a cake. She was really proud of her efforts – but forgot to add any sugar. Her cake that she worked so hard on ended up stale and uneaten because she was missing the ingredient she needed to get our family to eat it. Landing pages are the same way. You can invest considerable time (and expense) into bringing traffic to your website, but if you don’t have the great landing page that effort will be wasted. Unfortunately, many therapists neglect that critical ingredient, and just dump clients on their home page. 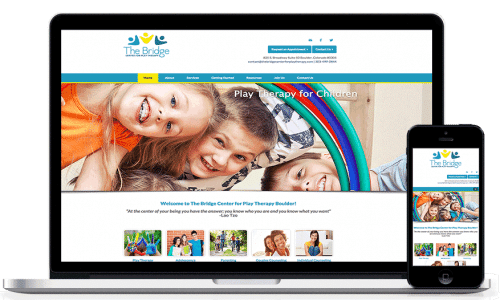 Even therapists that do create landing pages might fall short by failing to write it in a way that guides the reader towards conversion. There’s a better way. With just a little focused time, you can create awesome landing pages for each of the audiences you’re trying to reach. Here’s how. Okay, first a definition. A landing page is a page on your website where you direct traffic from some external source. For instance, let’s your name is Dr. Example and you are giving a presentation to the local PTA about teen depression. At the end of your presentation, you could say “Please visit DrExample.com for more information about teen mental health.” But if your audience does that, they’re going to see your homepage which is cluttered with all sorts of things that don’t directly relate to teen mental health. Instead of spending the time to hunt through your website for the information they care about, many visitors will just leave. But instead, what if you said, “Please visit DrExample.com/Teenagers for more information about teen mental health.” Then as soon as the audience followed your advice – boom, they’re seeing information that is immediately relevant to what they’re looking for. What’s more, you would have the ability to craft that page with the audience of PTA members in mind, and write it in such a way that they would be encouraged to sign up for therapy with you if in fact their teen had depression. You just have to follow one simple rule: Your landing page should meet people where they’re at, and then guide them to where you want them to go. By “meet people where they’re at”, I mean your landing page should be set up in a way where the reader immediately sees that it’s relevant to them. So whatever the reader is looking for should be front and center, so the reader can tell immediately that they’re in the right place. And then you should try to be helpful to the reader as soon as possible, by providing useful information or a sense of feeling understood, in order to grab their attention and get them to keep reading. And then by “Guide them to where you want them to go”, I mean that you want to write your landing pages in such a way that (without feeling pushy) you make a strong case for your services, and you give them an easy way to sign up for therapy with you. I typically suggest a four-part structure to accomplish this. Provide information on how you specifically are a great choice for helping with that problem – really make the case for yourself. For instance, talk about your many years of experience treating depression, or your passion for trauma due to your own past as a survivor. Invite the reader to take the next step towards signing up with you, and make it really easy by providing a contact form, a big “contact me now” button, or something similar. If you’d like an example of how this format works, you can check out this page, which the Marketing For Therapists team wrote for a client. You can also look at my AdWords for therapists page, which also follows this format. I suggest that each section be at least a paragraph or two – it’s difficult for the client to really gain useful information if you share just a sentence here and a sentence there. However, don’t focus on word count or anything. Focus on your ideal client, the person who would benefit most from your services, and write the landing page that that person most needs to hear. That’s the most important thing. I wrote a guest post on another site on writing for the web – it’s essential reading for therapists that want to write for an internet audience. I also have my web design guide which you should also find helpful. And if you want a professional to handle all of the design work for you, I’ve recommended Brighter Vision for years – you can’t go wrong with them. 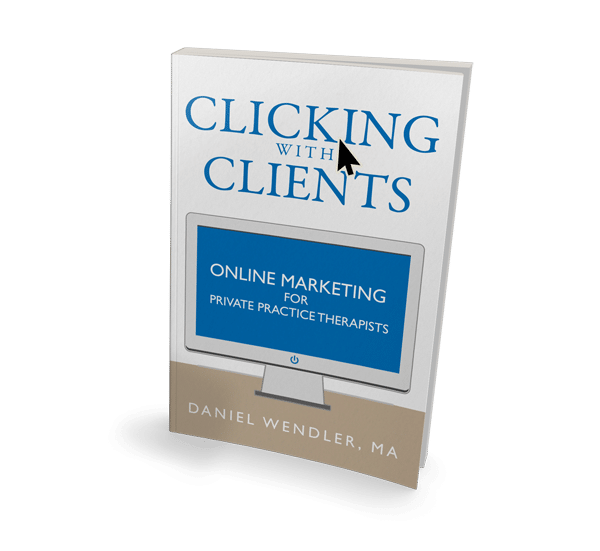 I’ve launched AdWords campaigns for over a hundred therapists, and while most of my clients get great results with Adwords, some do not. Of the ones that do not, the most common culprit is the lack of good landing pages. With that in mind, the best thing you can do to boost the potential success of your AdWords campaign is to make sure that every specialty you ask me to advertise has a landing page that follows the above specifications on your site. And make sure that each specialty has its own landing page – while making a combined page about “depression and anxiety counseling” is better than nothing, it’s not as good as one page for depression therapy and another page for anxiety. Some therapists are prolific writers, and love the opportunity to fill their websites with new pages. Other therapists…not so much. If you’re in the second category, the good news is that you don’t have to go it alone. I’ve partnered with my colleague and friend Kyler to have him provide content writing services for therapists. Kyler is also a doctoral student, and one of the best writers I’ve met. His writing services will give you exceptionally good landing pages that check all the boxes listed above – and will boost your SEO to boot. If you are interested in his services, you can learn more here.